This is the new Marvel Legends/6" Appreciation Thread. The previous thread veered too often into off-topic, spam and discussion of staff actions. That will no longer be allowed. 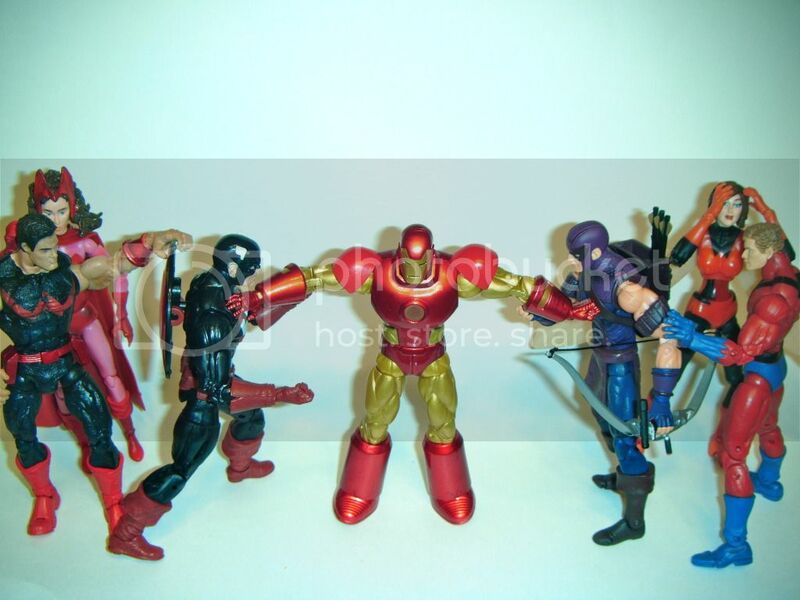 • Sharing comparison photos with Marvel 6" toys and other toy lines. • General Marvel discussion. If you want to talk about other Marvel toys or topics, post in the Marvel General Discussion (Non Toys) Thread or start a new one. • Customs. Customs belong in the Customs Forums or the Marvel Customs Thread. • Posting auctions. 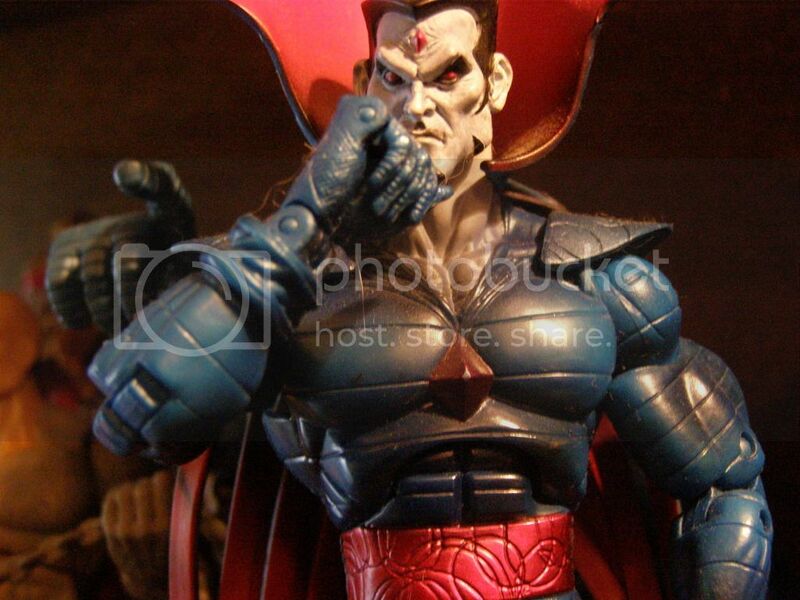 Auctions go in the Toys on Ebay Forum or the Marvel B/S/T & Auctions Thread. • Posting of Buy/Sell/Trade offers. Buy/Sell/Trade offers go in the Buy/Sell/Trade Forum or the Marvel B/S/T & Auctions Thread. • Signature requests. Use the Official Sig/Avatar Request Thread. • Off topic discussion can go in the MUtant Lounge (Off Topic) Thread, or See Rule #13 of the Forum Rules. • Discussion of staff actions. See Rules #14 & #21 of the Forum Rules. If you violate any of the above, you will be removed from the thread permanently without warning. Last edited by Joe Moore; 09-18-2012 at 11:42 AM.. When did Keanu Reeves star as The Punisher? So...wait? How many different versions of The Punisher are there? The middle on is the same And isn't the top left the same as the bottom right? But then there are two unique in each picture...so I'm counting four? Am I wrong? Do we even need that many? Does anyone have a MS and ML Jugs or abomination to do a comparison shot with another ML figure? Preferably one of the new ones. The ML jugs looks huge, and the MS makes him look tiny, so i wanna see if he's to big for my taste to go with my 6inch scale. Edit: I would be very grateful if someone could. Yup. The one on the bottom left if from the "Urban Legends" box set. 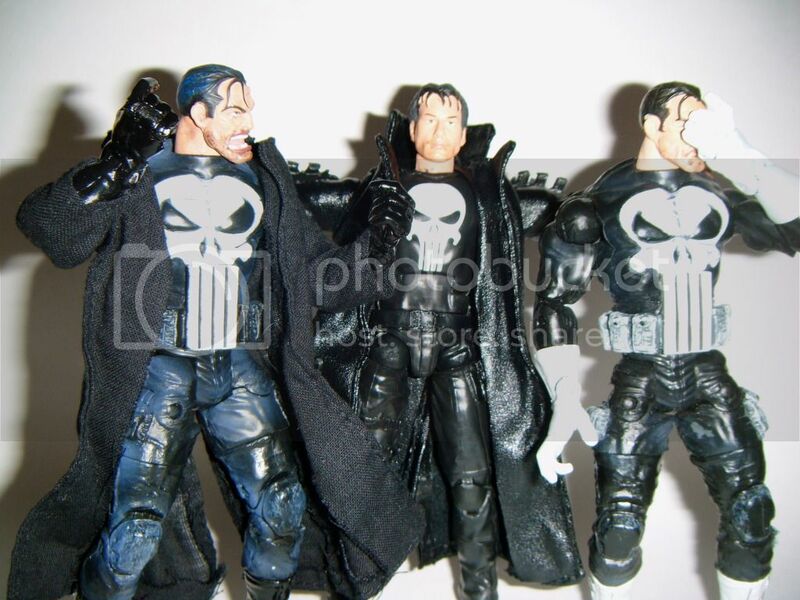 There are still two more versions of the Punisher from the Face-Off two-packs. IMO they still haven't gotten him right yet. Though, the first release is my favorite out of all of them. 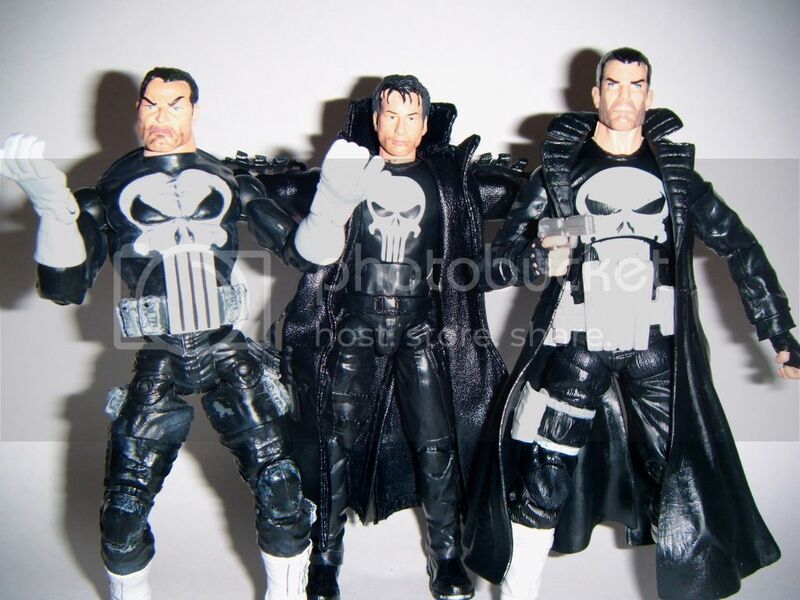 Punisher and Blade - Big Pun is out right now, and Blade will be out later on down the line. Green Costume Dr. Doom and FF Costume Dr. Doom - FF Costume will be released later. X-Force Deadpool and Red/Black Deadpool - XF is out now, Red/Black coming soon. Mystique and Danielle Moonstar - Mystique is the current release. Hasbro said these are not really variants. They are considered to be RUNNING CHANGES. Which basically means that, somewhere down the line, all of them will be getting sent out at the same time. For now, we have these 6. Once the running changes are shipped, they will still keep on shipping the first cases as well. That's what they say, but I don't believe them. Were FF Spidey, Masked Daken, Clear Shield Steve Rogers, the Madames and Wrecking Crew all supposed to be running changes in the last wave? I think they were but I could be wrong. If they were, then that just goes to show you how Hasbro handles running changes. Last edited by WoRkAh0LiC; 09-18-2012 at 11:50 AM..
Love this! DP, USAgent, and Doom should be on my doorstep momentarily if my PO guy isnt delayed because of the weather! oh yeah 1st page! Wahoo! The awesome thread I started got closed. That's cool. Out of the three pictured by DMC which Pun is the new one? The one on the right in the first picture. I guess silver lining is that I just realized I have to go to the post office tomorrow anyways, as I just made a trade with ashketch! Where Are you that you are eating dinner now? Wait... These are Marvel Select/7" scale figures. What have I done!? Better close the thread. CLOSE THE THREAD! CLOSE THE THREAD! Close it before it's too late for the love of humanity! Sorry, bro. Definitely know how it is waiting on the snail mail. On topic, just got daken in the mail, he is great! Looks more like David Duchovny to me. It's been great chatting with all of you over these past few months. In such a short time, you all have made me feel so welcome. I need a break from the Ark, but I will still post in some of the other threads. Mainly, I need a break from the 2 threads that I frequent the most. I'm taking a page out of SH0CKWAVE's book on this one. If you need to contact me, feel free to do so via PM, Facebook or email. Take Care & God Bless you all. Back on topic. 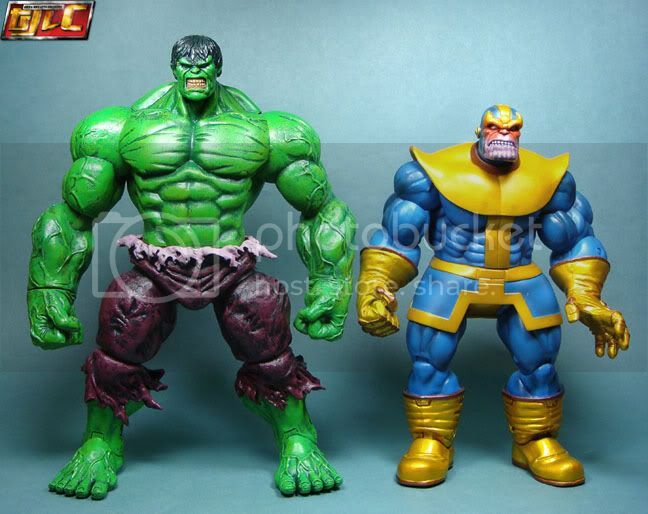 MS hulk is s great size and Ms thanos works for me too with all the ML line. Last edited by kenm2474; 09-18-2012 at 01:43 PM..